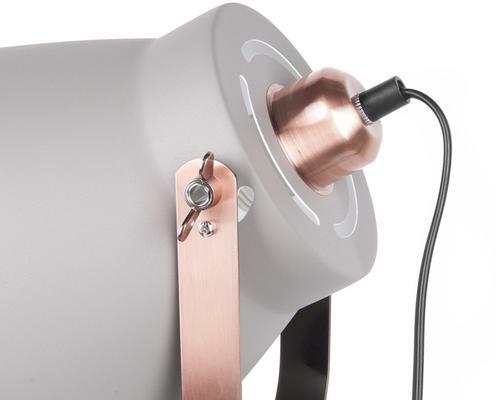 Indulge in the simple beauty and function of this Mingle Table Lamp in Grey. 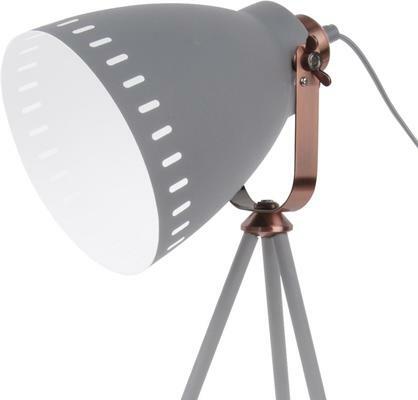 In a Scandinavian design, this lamp features a metal tripod base and stand with a large shade to help direct the light. 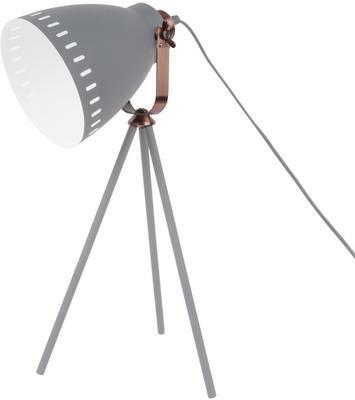 The tripod design is not only iconic, it's also stylish, adding a lovely element to your desk. You can use your choice of lightbulb for this piece, but it's best to go for something that's appropriate for reading. There's also a larger version fo this table lamp if you want to play all matchy with your interior space. Leitmotiv is known for its innovative and sleek designs which feature thematic works of art, literature or music. Its designs reflect its firm and timeless efforts towards beauty and excellence. You can actually see that in its collection and portfolio. Leitmotiv products can surprise you with their daring and sophisticated designs which are uniquely crafted. The unique collection of high quality designs makes you feel at ease at home and in your office.